EDITOR’S NOTE—This is the second of Mr. London’s articles on our delightful territorial possession—Hawaii. The first appeared in the September issue. Hawaii is the home of shanghaied men and women, and of the descendants of shanghaied men and women. They never intended to be here at all. Very rarely, since the first whites came, has one, with the deliberate plan of coming to remain, remained. Somehow, the love of the Islands, like the love of a woman, just happens. One cannot determine in advance to love a particular woman, nor can one so determine to love Hawaii. One sees, and one loves or does not love. With Hawaii it seems always to be love at first sight. Those for whom the Islands were made, or who were made for the Islands, are swept off their feet in the first moments of meeting, embrace, and are embraced. I remember a dear friend who resolved to come to Hawaii and make it his home forever. He packed up his wife, all his belongings including his garden hose and rake and hoe, said ”Goodbye, proud California,” and departed. Now he was a poet, with an eye and soul for beauty, and it was only to be expected that he would lose his heart to Hawaii as Mark Twain and Stevenson and Stoddard had before him. So he came, with his wife and garden hose and rake and hoe. Heaven alone knows what preconceptions he must have entertained. But the fact remains that he found naught of beauty and charm and delight. His stay in Hawaii, brief as it was, was a hideous nightmare. In no time he was back in California. To this day he speaks with plaintive bitterness of his experience, although he never mentions what became of his garden hose and rake and hoe. Surely the soil could not have proved niggardly to him! One reads of the first Chief Justice under the Kamehamehas, that he was on his way around the Horn to Oregon when he was persuaded to remain in Hawaii. The sailor boy, Archibald Scott Cleghorn, had no intention of leaving his ship; but he looked upon the Princess Likelike, the Princess Likelike looked on him, and he remained to become the father of the Princess Kaiulani and to dignify a place of honor through long years. He was not the first sailor boy to leave his ship, nor the last. One of the recent ones, whom I know well, arrived several years ago on a yacht in a yacht race from the mainland. So brief was his permitted vacation from his bank cashiership that he had planned to return by fast steamer. He is still here. The outlook is that his children and his grand-children after him will be here. Another erstwhile bank cashier is Louis von Tempsky, the son of the last British officer killed in the Maori War. His New Zealand bank gave him a year’s vacation. The one place he wanted to see above all others was California. He departed. His ship stopped at Hawaii. It was the same old story. The ship sailed on without him. His New Zealand bank never saw him again, and many years passed ere ever he saw California. But she had no charms for him. And to-day, his sons and daughters about him, he looks down on half a world and all of Maui from the rolling grasslands of the Haleakala Ranch. There were the Gays and Robinsons. Scotch pioneers over the world in the good old days when families were large and patriarchal, they had settled in New Zealand. After a time they decided .to migrate to British Columbia. Among their possessions was a full-rigged ship, of which one of their sons was master. Like my poet friend from California, they packed all their property on board. But in place of his garden hose and rake and hoe, they took their plows and harrows and all their agricultural machinery. Also, they took their horses and their cattle and their sheep. When they arrived in British Columbia they would be in shape to settle immediately, break the soil, and not miss a harvest. But the ship, as was the custom in the sailing-ship days, stopped at Hawaii for water and fruit and vegetables. The Gays and Robinsons are still here, or, rather, their venerable children, and younger grandchildren and great grandchildren; for Hawaii, like the Princess Likelike, put her arms around them, and it was love at first sight. They took up land on Kauai and Niihau, the ninety-seven square miles of the latter remaining intact in their possession to this day. I doubt that not even the missionaries, windjamming around the Horn from New England a century ago, had the remotest thought of living out all their days in Hawaii. This is not the way of missionaries over the world. They have always gone forth to far places with the resolve to devote their lives to the glory of God and the redemption of the heathen, but with the determination, at the end of it all, to return to spend their declining years in their own country. But Hawaii can seduce missionaries just as readily as she can seduce sailor boys and bank cashiers, and this particular lot of missionaries was so enamored of her charms that they did not return when old age came upon them. Their bones lie here in the land they came to love better than their own; and they, and their sons and daughters after them, have been, and are, powerful forces in the development of Hawaii. In missionary annals, such unanimous and eager adoption of a new land is unique. Yet another thing, equally unique in missionary history, must be noted in passing. Never did missionaries, the very first, go out to rescue a heathen land from its idols, and on arrival find it already rescued, self-rescued, while they were on the journey. In 1819, all Hawaii was groaning under the harsh rule of the ancient idols, whose mouthpieces were the priests and whose utterances were the frightfully cruel and unjust taboos. In 1819, the first missionaries assembled in Boston and sailed away on the long voyage around the Horn. In 1819, the Hawaiians, of themselves, without counsel or suggestion, over-threw their idols and abolished the taboos. In 1820, the missionaries completed their long voyage and landed in Hawaii to find a country and a people without gods and without religion, ready and ripe for instruction. But to return. Hawaii is the home of shanghaied men and women, who were induced to remain, not by a blow with a club over the head or a doped bottle of whisky, but by love. Hawaii and the Hawaiians are a land and a people loving and lovable. By their language may ye know them, and in what other land save this one is the commonest form of greeting, not “Good day,” nor “How d’ye do,” but “Love?” That greeting is Aloha — love, I love you, my love to you. Good day — what is it more than an impersonal remark about the weather? How do you do — it is personal in a merely casual interrogative sort of a way. But Aloha! It is a positive affirmation of the warmth of one’s own heart-giving. Well, then, try to imagine a land that is as lovely and loving as such a people. Hawaii is all of this. Not strictly tropical, but sub-tropical, rather, in the heel of the Northeast Trades (which is a very wine of wind), with altitudes rising from palm-fronded coral beaches to snow-capped summits fourteen thousand feet in the air ; there was never so much climate gathered together in one place on earth. The custom of the dwellers is as it was of old time, only better, namely: to have a town house, a seaside house, and a mountain house. All three homes, by automobile, can be within half an hour’s run of one another; yet, in difference of climate and scenery, they are the equivalent of a house on Fifth Avenue or the Riverside Drive, of an Adirondack camp, and of a Florida winter bungalow, plus a twelve- months’ cycle of seasons crammed into each and every day. Let me try to make this clearer. The New York dweller must wait till summer for the Adirondacks, till winter for the Florida beach. But in Hawaii, say on the island of Oahu, the Honolulu dweller can decide each day what climate and what season he desires to spend the day in. It is his to pick and choose. Yes, and further: he may awake in his Adirondacks, lunch and shop and go to the club in his city, spend his afternoon and dine at his Palm Beach, and return to sleep in the shrewd coolness of his Adirondack camp. And what is true of Oahu, is true of all the other large islands of the group. Climate and season are to be had for the picking and choosing, with countless surprising variations thrown in for good measure. Suppose one be an invalid, seeking an invalid’s climate. A night’s run from Honolulu on a steamer will land him on the leeward coast of the big Island of Hawaii. There, amongst the coffee on the slopes of Kona, a thousand feet above Kailua and the wrinkled sea, he will find the perfect invalid-climate. It is the land of the morning calm, the afternoon shower, and the evening tranquility. Harsh winds never blow. Once in a year or two a stiff wind of twenty-four to forty-eight hours will blow from the south. This is the Kona wind. Otherwise there is no wind, at least no air-draughts of sufficient force to be so dignified. They are not even breezes. They are air-fans, alternating by day and by night between the sea and the land. Under the sun, the land warms and draws to it the mild sea air. In the night, the land radiating its heat more quickly, the sea remains the warmer and draws to it the mountain air faintly drenched with the perfume of flowers. Such is the climate of Kona, where nobody ever dreams of looking at a thermometer, where each afternoon there falls a refreshing spring shower, and where neither frost nor sunstroke has ever been known. All of which is made possible by the towering bulks of Mauna Kea and Mauna Loa. Beyond them, on the windward slopes of the Big Island, along the Hamakua Coast, the trade wind will as often as not be blustering at forty miles an hour. Should an Oregon web-foot become homesick for the habitual wet of his native clime, he will find easement and a soaking on the windward coasts of Hawaii and Maui, from Hilo in the south with its average annual rainfall of one hundred and fifty inches to the Nahiku country to the north beyond Hana which has known a downpour of four hundred and twenty inches in a single twelve-month. In the matter of rain it is again pick and choose — from two hundred inches to twenty, or five, or one. Nay, further, forty miles away from the Nahiku, on the leeward slopes of the House of the Sun, which is the mightiest extinct volcano in the world, rain may not fall once in a dozen years, cattle live their lives without ever seeing a puddle and horses brought from that region shy at running water or try to eat it with their teeth. One can multiply the foregoing examples indefinitely, and to the proposition that never was so much climate gathered together in one place, can be added that never was so much landscape gathered together in one place. The diversification is endless, from the lava shores of South Puna to the barking sands of Kauai. On every island break-neck mountain climbing abounds. One can shiver above timber-line on the snow-caps of Mauna Kea or Mauna Loa, swelter under the banyan at sleepy old Lahaina, swim in clear ocean water that effervesces like champagne on ten thousand beaches, or sleep under blankets every night in the upland pastures of the great cattle ranges and awaken each morning to the song of sky-larks and the crisp, snappy air of spring. But never, never, go where he will in Hawaii Nei, will he experience a hurricane, a tornado, a blizzard, a fog, or ninety degrees in the shade. Such discomforts are meteorologically impossible, so the meteorologists affirm. When Hawaii was named the Paradise of the Pacific, it was inadequately named. The rest of the Seven Seas and the islands in the midst thereof should have been included along with the Pacific. “See Naples, and die” — they spell it differently here: see Hawaii and live. Nor is Hawaii niggardly toward the sportsman. Good hunting abounds. As I write these lines on Puuwaawaa Ranch, from every side arises the love-call of the quail, which are breaking up their coveys as the mating proceeds. They are California quail, yet never in California have I seen quail as thick as here. Yesterday I saw more doves — variously called turtle doves and mourning doves — than I ever saw before in any single day of my life. Day before yesterday I was out with the cowboys roping wild pig in the pastures. Of birds, in addition to quail and doves, in place and season may be hunted wild duck, wild turkey, rice birds, Chinese and Japanese pheasants, pea fowl, guinea fowl, wild chicken (which is a mongrel cross of the indigenous moa and the haole chicken), and, not least, the delicious golden plover fat and recuperated after its long flight from Alaska and the arctic shores. Then there are the spotted deer of Molokai. Increasing from several introduced pair, they so flourished in their new habitat that they threatened the pastures and forests, and some years ago the government was compelled to employ professional hunters to reduce their numbers. Of course there is pig-sticking, and for real hunting few things can out-thrill the roping, after cowboy fashion, of the wild bulls of the upper ranges. Also are there to be had wild goats, wild sheep — yes, and wild dogs, running in packs and dragging down calves and cows, that may even prove perilous to the solitary hunter. And as for adventure and exploration, among many things, one can tackle Rabbit Island, inaccessible to all but the most intrepid and most fortunate, or seek for the secret and taboo burial places of the ancient kings. Indeed, Hawaii is a loving land. Just as it welcomed the spotted deer to the near destruction of its forests, so has it welcomed many other inimical aliens to its shores. In the United States, in greenhouses and old fashioned gardens, grows a potted flowering shrub called lantana, which originally carne from South America; in India dwells a very noisy and quarrelsome bird known as the mynah. Both were introduced into Hawaii, the bird to feed upon the cutworm of a certain moth called spodoptera mauritia; the flower to gladden with old associations the heart of a flower-loving missionary. But the land loved the lantana. From a small plant that grew in a pot with its small, velvet flowers of richest tones of orange, yellow, and rose, the lantana took to itself feet and walked out of the pot into the missionary’s garden. Here it flourished and increased mightily in size and constitution. From over the garden wall came the love-call of all Hawaii, and the lantana responded to the call, climbed over the wall, and went a-roving and a-loving in the wild woods. And just as the lantana had taken to itself feet, by the seduction of the seeds in its aromatic blue-black berries, it added to itself the wings of the mynah, who distributed its seed over every island in the group. Like the creatures Mr. Wells writes of who ate of the food of the gods and became giants, so the lantana. From a delicate, hand-manicured, potted plant of the green- house, it shot up into a tough and belligerent swash- buckler from one to three fathoms tall, that marched in serried ranks over the landscape, crushing beneath it and choking to death all the sweet native grasses, shrubs, and flowers. In the lower forests it became jungle. In the open it became jungle, only more so. It was practically impenetrable to man. It filled and blotted out the pastures by tens of thousands of acres. The cattlemen wailed and vainly fought with it. It grew faster and spread faster than they could grub it out. Like the invading whites who dispossessed the native Hawaiians of their land, so did the lantana to the native vegetation. Nay, it did worse. It threatened to dispossess the whites of the land they had won. And battle royal was on. Unable to cope directly with it, the whites called in the aid of the hosts of mercenaries. They sent out their agents to recruit armies from the insect world and from the world of micro-organisms. Of these doughty warriors let the name of but one, as a sample, be given — crenastobombycia lantenella. Prominent among these recruits were the lantana seed-fly, the lantana plume-moth, the lantana butterfly, the lantana leaf-miner, the lantana leaf-bug, the lantana gall-fly. Quite by accident the Maui blight or scale was enlisted. Some of these predacious enemies of the lantana ate and sucked and sapped. Others made incubators out of the stems, tunneled and undermined the flower clusters, hatched maggots in the hearts of the seeds, or coated the leaves with suffocating fungoid growths. Thus simultaneously attacked in front and rear and flank, above and below, inside and out, the all-conquering swashbuckler recoiled. To-day the battle is almost over, and what remains of the lantana is putting up a sickly and losing fight. Unfortunately, one of the mercenaries has mutinied. This’ is the accidentally introduced Maui blight, which is now waging unholy war upon garden flowers and ornamental plants, and against which some other army of mercenaries must be turned. Hawaii has been most generous in her hospitality, most promiscuous in her loving. Her welcome has been impartial. To her warm heart she has enfolded all manner of hurtful, stinging things, including some humans. Mosquitos, centipedes and rats made the long voyages, landed, and have flourished ever since. There was none of these here before the haole came. So, also, were introduced measles, smallpox, and many similar germ afflictions of man. The elder generations lived and loved and fought and went down into the pit with their war weapons and flower garlands laid under their heads, unvexed by whooping cough, and mumps, and influenza. Some alien good, and much of alien ill, has Hawaii embraced and loved. Yet to this day no snake, poisonous or otherwise, exists in her forests and jungles; while the centipede is not deadly, its bite being scarcely more discomforting than the sting of a bee or wasp. Some snakes did arrive, once. A show- man brought them for exhibition. In passing quarantine they had to be fumigated. By some mischance they were all suffocated, and it is whispered that the quarantine officials might have more to say of that mischance than appeared in their official report. And, oh, there is the mongoose. Originally introduced from India via Jamaica to wage war on that earlier introduction, the rat, which was destroying the sugar cane plantations, the mongoose multiplied beyond all guestly bounds and followed the lantana into the plains and forests. And in the plains and forests it has well nigh destroyed many of the indigenous species of ground-nesting birds, made serious inroads on the ground-nesting imported birds, and compelled all raisers of domestic fowls to build mongoose-proof chicken yards. In the meantime the rats have changed their nesting habits and taken to the trees. Some of the pessimistic farmers even aver that, like the haole chickens which went wild in the woods and crossed with the moa, the mongoose has climbed the trees, made friends with and mated with the rats, and has produced a permanent hybrid of omnivorous appetite that eats sugar cane, birds’ eggs, and farmyard chickens indiscriminately and voraciously. But further deponent sayeth not. 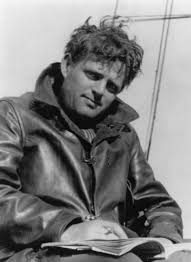 The works of Jack London and other American journalists are freely available at The Archive of American Journalism.